The thirteenth century was a dynamic time in the Iberian Peninsula, as political and cultural changes were occurring throughout the realms that occupied what is now Spain and Portugal. Much of the literature of this period was learned in nature and composed by clerics, and although the works were read and studied individually from the time of composition, they did not see collective examination until the nineteenth century. 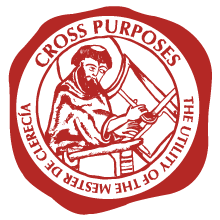 It was in 1865 that the Spanish scholar Manuel Milà i Fontanals used the term “mester de clerecía” (the cleric’s craft) for the first time to refer to this learned literary production. 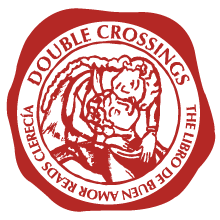 The study of the mester de clerecía is now 150 years old, and an international conference entitled “The Cleric’s Craft: Crossroads of Medieval Spanish Literature and Modern Critique” will be convened in 2015 to mark this important milestone, to reassess this literature and its study, as well as to chart new directions for the field. The El Paso metropolitan area is a blend of cultures that spans Native American heritage, Mexican-America traditions, and elements of the historic Old West, all enveloped by the Southwestern desert sun. The Tigua-speaking peoples were some of the area's first permanent inhabitants, and a community continues many of the traditions of the Tigua peoples within the city. The first Spanish explorers reached the Rio Grande River in 1581 leaving behind the buildings of the Mission Trail District to be visited by modern-day visitors. The Wild West left its mark on the city through its famous marshals and outlaws such as Billy the Kid and Wyatt Earp. Today, El Paso is a thriving community that has become a major distribution and manufacturing center between the United States and Mexico. The city has been able to retain its unique history and cultural fusion while offering all the amenities of a modern city, such as international cuisine, varied entertainment venues, and multiple museums and cultural attractions. The El Paso metropolitan area is a blend of cultures that spans Native American heritage, Mexican-America traditions, and elements fo the historic Old West, all enveloped by the Southwestern desert sun. The Tigua-speaking peoples were some of the area's first permanent inhabitants, and a community continues many of the traditions of the Tigua peoples within the city. The first Spanish explorers reached the Rio Grande River in 1581 leaving behind the buildings of the Mission Trail District to be visited by modern-day visitors. The Wild West left its mark on the city through its famous marshals and outlaws such as Billy the Kid and Wyatt Earp. Today, El Paso is a thriving community that has become a major distribution and manufacturing center between the United States and Mexico. The city has been able to retain its unique history and cultural fusion while offering all the amenities of a modern city, such as international cuisine, varied entertainment venues, and multiple museums and cultural attractions. Connie Scarborough is Professor of Spanish at Texas Tech University. Her research has spanned textual scholarship, literary criticism and theory, and Marian devotion. She has produced critical editions as well as scholarly studies of medieval and early modern works. Her most recent book (2009) is A Holy Alliance: Alfonso X’s Political Use of Marian Poetry. Olivier Biaggini is Associate Professor in Spanish Medieval Literature at the Université Sorbonne Nouvelle—Paris III in Paris, France. He has worked extensively on hagiography and clerical literature of the Spanish Middle Ages, dealing with questions of authority, exemplarity, fiction and truth. His most recent publication is Miracles d’un autre genre. Reécritures médiévales en dehors de la hagiographie (2012), co-edited with Bénédicte Milland-Bove. Simone Pinet is Associate Professor of Spanish and Medieval Studies at Cornell University. Her publications bring theories of space, theories of fiction, cartography, and critical theory to bear on medieval and early modern prose fiction. Her most recent book is Archipelagoes: Insularity and Fiction in Medieval and Early Modern Spain (2011), and she has been awarded a Guggenheim fellowship towards the completion of a monograph on the Libro de Alexandre. Angel Gómez Moreno is a Professor at the Universidad Complutense in Madrid, Spain. He has authored and edited multiple volumes and many articles on diverse areas of medieval Spanish letters. His most recent book in the field is Claves hagiográficas de literatura española (del Cantar de mio Cid a Cervantes) (2008). María Cristina Balestrini is a professor at the Universidad de Buenos Aires. Her research interests include medieval hagiography as well as 13th-century poetry, and she has published widely on the poetic and cultural production of medieval Spain. E. Michael Gerli is Commonwealth Professor of Spanish at the University of Virginia. He has authored some 150 publications on medieval and renaissance literary and linguistic themes and serves on the editorial boards of numerous journals and presses in both the U.S. and abroad. His most recent book, Celestina and the Ends of Desire (2011), was awarded the Modern Language Association of America’s twenty-second annual Katherine Singer Kovacs Prize for an outstanding book in the field of Latin American and Spanish literatures and cultures. 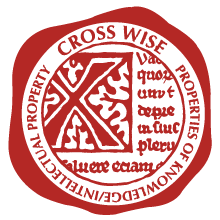 Julian Weiss is Professor of Medieval and Early Modern Spanish Studies and Director of the Centre for Late Antique and Medieval Studies at King’s College London. He has produced numerous critical editions of medieval and early modern texts as well as many highly influential works of criticism focusing on medieval Spanish literary culture. His 2006 book The ‘Mester de clerecía’: Intellectuals and Ideologies in Thirteenth-Century Castile was awarded the annual international book prize from the journal La Corónica. Jean Dangler is Associate Professor of Spanish and Chair of the Department of Spanish of Portuguese at Tulane University. Her most recent work focuses on medieval Iberia’s multiculturalism, theories of alterity, and globalization and the Middle Ages. She is the author of Mediating Fictions: Literature, Women Healers, and the Go-Between in Medieval and Early Modern Iberia (2001) and Making Difference in Medieval and Early Modern Iberia (2005), and currently works on the monograph Edging Toward Iberia. Gregory Kaplan is Lindsey Young Professor of Spanish in the Modern Foreign Languages & Literatures Department at the University of Tennessee (Knoxville). His work has been particularly influential in the study of the converso literature of medieval and early modern Spain: he is the author of The Evolution of Converso Literature: The Writings of the Converted Jews of Medieval Spain (2002) and the editor of Marginal Voices: Studies of the Converso Literature of Medieval and Golden Age Spain (2012). Michelle M. Hamilton is Associate Professor of Spanish and Portuguese at the University of Minnesota, Twin Cities where she offers courses on religious studies, Jewish studies, and Spanish literature and culture. She has published widely on multi-confessional Iberia. Recent publications include Beyond Faith: Belief, Morality and Memory in a Fifteenth-Century Judeo-Iberian Manuscript (2014) and In and Of the Mediterranean: Medieval and Early Modern Iberian Studies (2014). She is currently working on a project examining the intersections of translation, ruins and wonder in the Iberian Arabic and Romance traditions. Martha Daas is Associate Professor of Spanish at Old Dominion University. Her research interests include popular manifestations of religion in the Spanish Middle Ages and religious parody. Her book, The Politics of Salvation: Gonzalo de Berceo’s Reinvention of the Marian Myth, was published in 2011. Andrew Beresford is Reader, Head of Department, and Director of Education in the School of Modern Languages and Cultures at the University of Durham, UK. He has published widely on a variety of topics related to hagiography and gender, early poetic and narrative theory, and the vernacular reception of Latin hagiography in Spain. His most recent book is The Severed Breast: The Legends of Saints Agatha and Lucy in Medieval Castilian Literature (2010). Robin Bower is Associate Professor of Spanish at Penn State, Beaver, specializing in medieval and early modern literature. She has published on the hagiographies of Gonzalo de Berceo, and is interested in modern reception and transformation of medieval aesthetic and ideological categories. Fernando Baños Vallejo is Associate Professor of Spanish Medieval Literature and Chair of the Department of Hispanic Philology at the Universidad de Oviedo, Spain, and has been visiting professor at the Université de Toulouse, France, and most recently, at Columbia University in 2011. His research focuses on medieval saints’ legends, on which he has published numerous articles and the monograph Las vidas de santos en la literatura medieval española (2003). Mary Jane Kelley is Associate Professor of Spanish at Ohio University. Her research focus is 13th-century narrative poetry in the cuaderna vía form, and she has published widely in the area of mester de clerecía’s depictions of vision and blindness, as well the representations of the textual and oral transmission of narratives. Pablo Ancos, Associate Professor at the University of Wisconsin, Madison, focuses on the formal properties of mester de clerecía verse and their intersection with larger literary-historical currents. His book Transmisión y recepción primarias de la poesía del ‘mester de clerecía’ (2012) investigates the transmission and reception of the narrative poetry of 13th-century Spain. Matthew V. Desing is Assistant Professor of Spanish at the University of Texas at El Paso. His research focuses on travel, gender, and authority 13th-century texts. He has published on hagiography and medieval romance, and his book Mester de Romería: Travel and Ideology in the Literature of Medieval Spain is forthcoming. Patricia Grieve is Nancy and Jeffrey Marcus Professor in the Humanities at Columbia University. She has published widely in all areas of medieval literary history, most recently exploring literary representations of the mythic-historical figure of La Cava in The Eve of Spain: Myths of Origins in the History of Christian, Muslim, and Jewish Conflict (2009). Carina Zubillaga is Director of the Practicum Program in Spanish Literature at the Universidad de Buenos Aires whose research interests include textual scholarship and manuscript studies. Her critical edition Antología castellana de relatos medievales (2008) bridges a scholarly interest in the literary cultures of the 13th century with a technical interest in scholarly editing. Clara Pascual-Argente is Assistant Professor of Spanish at Rhodes College. She specializes in medieval Castilian literature and culture, particularly their relationships with other European literatures through textual and visual translation and adaptation, and currently holds the Andrew W. Mellon Fellowship in Medieval Studies at Notre Dame. She is preparing a monograph entitled The Invention of Medieval Antiquity: Memory and Anachronism in the Iberian Roman Antique. Elena González Blanco García is Assistant Professor in Medieval Literature at the Universidad Nacional de Educación a Distancia (UNED) and the academic director of the recently created Digital Humanities Innovation Lab at that institution. Her recent book La cuaderna vía española en su marco panorámico (2010) considers the poetry of 13th-century Spain in the context of a larger European medieval literary culture inflected and integrated by a still vigorous Latin inheritance. The conference will be held over the course of three days in late October of 2015 on the campus of the University of Texas at El Paso. 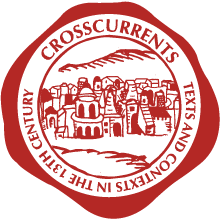 Twenty-two international experts in the field have been invited to participate in a series of six focus sessions that will revolve around themes of broad interest to the study of thirteenth- (and fourteenth-) century clerical verse. 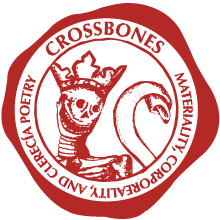 A broader call for papers will be distributed widely a year in advance of the conference to solicit proposals for papers on specific texts, groups of texts, or themes, which will be organized into panels for the conference’s numerous concurrent sessions. A number of special events, including performances, receptions, and banquets have been organized in conjunctions with the academic sessions. Who is eligible to present at the Conference? Everyone interested in the field of medieval Spanish literature, including graduate students, scholars in related fields, and independent scholars. Will proposals be considered exclusively from the field of medieval Spanish literature or will related fields be considered? 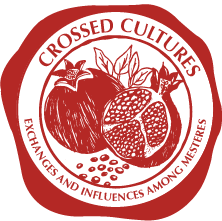 The conference organizers encourage proposals from fields related to ALL aspects of 13th and 14th century Iberia, but especially those with a connection to the mester de clerecía broadly defined. Registration for the Conference will be available in spring 2015. Please register your email address on this website in order be notified when the registration system is open. May I present a paper in more than one session? No. Only one formal presentation will be permitted per participant. Presenters may preside over an additional session in which they are not presenting. Will the Conference accept proposals for complete sessions or only for individual papers? Each individual paper proposal will be evaluated on its own merits, and therefore the Conference will accept only individual paper proposals. What is the cost of the Conference, and are there any discounts available? The information regarding the cost will be available when registration opens. Please register your email so you will be notified as soon as this information becomes available. The cost for presenters in general sessions will be set on a sliding scale by academic rank (full, associate, and assistant professor, lecturer/adjunct professor, or independent scholar) and graduate students will receive a special discount. May a paper be read in absentia? Papers may be read in absentia under extenuating circumstances, but prior arrangements must be made with the Conference organizers. How can I volunteer to preside over/chair a session? The registration website will have a field to indicate whether or not you would like to chair or moderate a session. Do I have to stay at the Hilton Garden Inn? No. This is the Conference hotel, which will have special services for the conference attendees. Participants will also receive a discount on rooms at the Hilton Garden Inn. The Hilton Garden Inn is the only hotel adjacent to the UTEP campus, but there are a few other hotels located at a ten-minute car ride from the campus. what was termed the two Spanish mesteres. The phrases entered common usage in the study of medieval Spanish literature by the beginning of the twentieth century, but then came to be questioned, prominently in the 1960s and 1970s. Much exciting scholarship has been done in the field, both before and after the controversies over the names used to distinguish them. 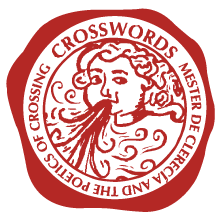 Now is the perfect time, as the 150th anniversary of the coinage of the term mester de clerecía approaches, to reassess this literature and its study.